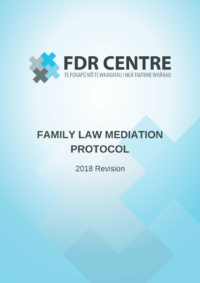 To meet the above objectives, the FDR Centre has developed Family Law Mediation Rules to promote and encourage the negotiated settlement and early and cost effective resolution of Family Law Disputes by mediation. 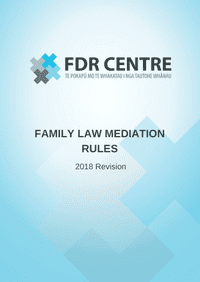 The FDR Centre has also developed a Family Law Mediation Protocol to provide a guide to the rights and responsibilities of all participants in the Family Law Mediation process under these Rules. The Rules and Protocol provide both a framework and detailed provisions to ensure the efficient and cost effective resolution of Family Law Disputes by mediation. The Rules are set out in a manner designed to facilitate ease of use and may be adopted by agreement in writing at any time before or after a dispute has arisen.